Streeter Lecka/GettyHassan Whiteside is going to benefit from his hard work this summer. 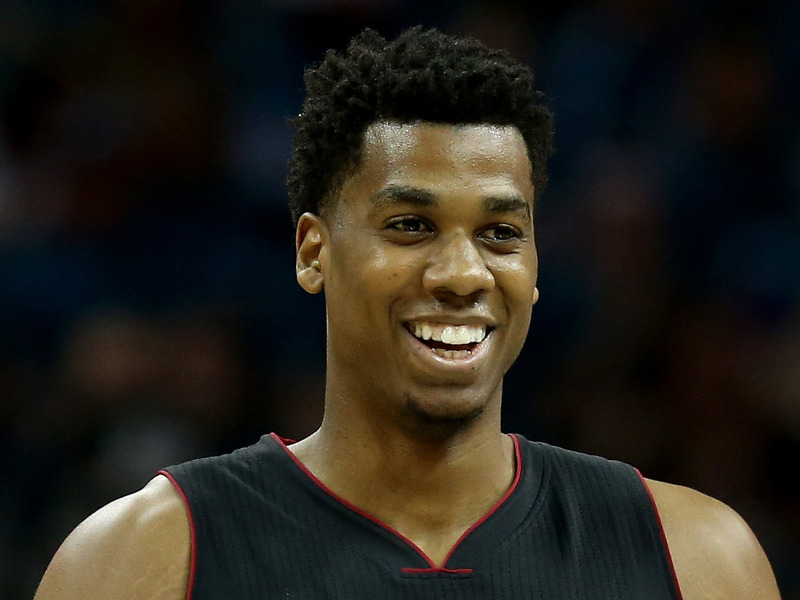 Hassan Whiteside has become one of the NBA’s best centres, seemingly out of nowhere. Just two years ago, the 27-year-old big-man looked finished in the NBA. After two quiet, disappointing seasons with the Sacramento Kings, Whiteside was demoted to the D-League, and then moved overseas to play in China and Lebanon. Then, in 2014, the Heat signed him to a small, two-year deal as a reclamation project of sorts. Whiteside made the most of the opportunity. When given the playing time, the 7-foot Whiteside suddenly became a double-double machine, swallowing up rebounds, scoring on easy baskets, and swatting opponents’ shots away from the rim. In 2015-16, Whiteside averaged 14 points, 11 rebounds, and an NBA-best 3.7 blocks per game while shooting over 60% from the field. According to Wallace, the Heat have a slight advantage in re-signing Whiteside, with the ability to offer him a max. contract worth $98 million over four years. That would give Whiteside a yearly salary of about $22 million — a significant raise over the $990,000 he made last season. It’s not the first time Whiteside has hinted at his wild journey to NBA prominence. Following his sudden breakout with the Heat in 2014-15, Whiteside noted in a postgame interview that not long ago, he had been working out at the YMCA, trying to get private workouts with NBA teams. As Whiteside noted on Sunday, he’ll explore all of his options. Though the Heat can pay him slightly more than any team, he’s only one part of what figures to be a busy offseason in Miami. The Heat also plan to chase Kevin Durant, and they must settle on a new deal with Dwyane Wade. These two pieces of business could push Whiteside to the backburner, meaning he could bolt Miami. Whiteside hinted at this on Sunday. Regardless of where he ends up, Whiteside is one of the feel-good stories in the NBA, a player who worked himself back into the folds, and he’ll reap the rewards this July.